Sign this petition to ask Lt. Gov. 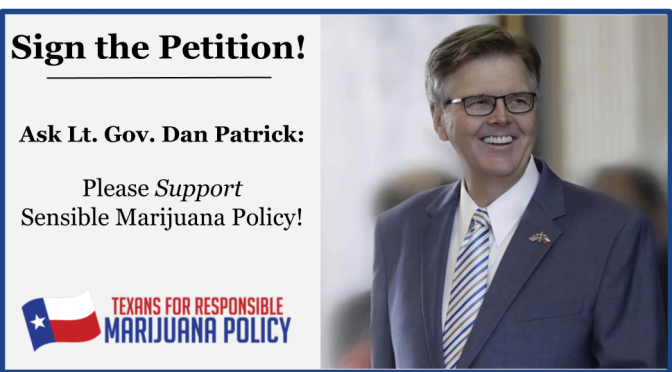 Dan Patrick to reconsider his position on this issue! 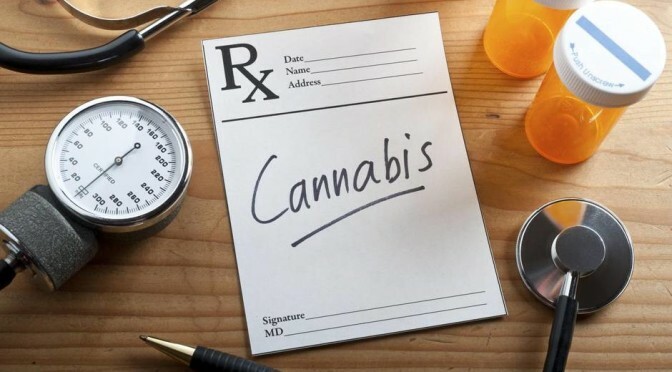 Civil Penalty: We support a change in the law to make it a civil, and not a criminal, offense for legal adults only to possess one ounce or less of marijuana for personal use, punishable by a fine of up to $100, but without jail time. 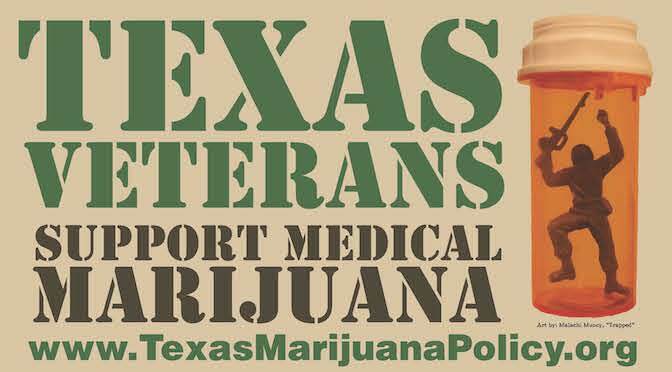 Compassionate Use Act: We call upon the Texas Legislature to improve the 2015 Compassionate Use Act to allow doctors to determine the appropriate use of cannabis to certified patients. Please share this petition with your social media network to ensure he hears from as many Texans as possible on this important issue, then make a donation toward our efforts at the Capitol. There’s a lot of work to do and we need all hands on deck to ensure success by the end of May!